Columbus Percussion | Your source for drums and percussion. 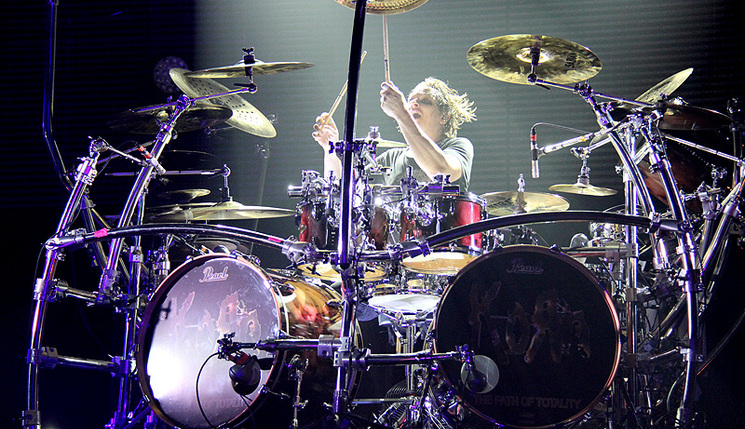 Chris Adler was born in Washington, DC on November 23, 1972. As a toddler, Chris began playing with broken sticks from his backyard on his parents coffee cans. As he grew he studied years of piano with his mother, saxophone and acoustic guitar before settling on playing bass for several high school bands and recording projects. In the winter of 1999, the band replaced a guitar player, changed their name to LAMB OF GOD and signed with Prosthetic records. By September 2000, the groups’ debut CD New American Gospel was in stores and Chris was quickly approached for his first article in Modern Drummer Magazine. Chris’s atypical style, timing and speed combined with the progressive guitar work made this release stand out from the many of the underground cookie cutter metal bands of the time. Two years on the road followed with Chris continuing a rigorous practice schedule throughout. In May of 2003 the band released its sophomore effort As the Palaces Burn. Chris’s playing had vastly matured and his phenomenal performance on this album helped push the band land in Rolling Stone, claim the Record of the Year Award for 2003 in Revolver Magazine and put the band in contention for a Grammy nomination in the Hard Rock category. It wasn’t long before the big players came knocking and in September of 2003 the band signed to Epic/Sony records. The bands fan base continued to multiply as the band spent the better part of the next 12 months on the road and now had 4 videos in rotation on MTV2. Chris was now well known in the scene for his playing ability and was termed “a landmark to judge all extreme players by” by Modern Drummer. On August 31, 2004 the band released its full length offering Ashes of the Wake. Once again, Chris’s playing continued to evolve, this time branching further into progressive territory with more unusual and stylistic choices throughout the recording. The album’s first week sales landed the #27 spot on the Top 200 Billboard Charts. The album landed them on many high profile tours including a headlining slot on Ozzfest 2004. During this album cycle the band released the platinum selling DVD Killadelphia, highlighting the bands performance and personalities on and off stage. 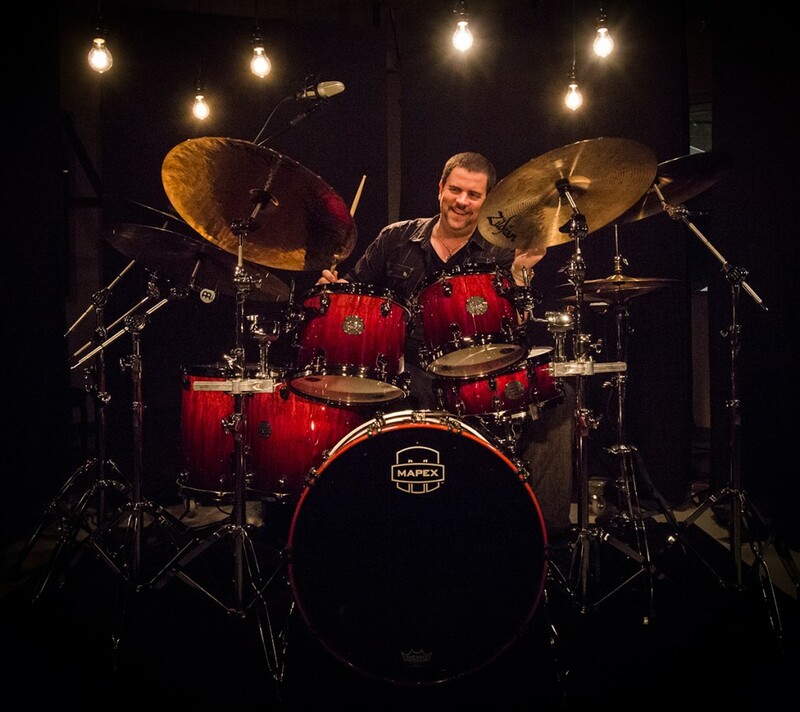 In 2005 Chris was asked, and performed at the prestigious Modern Drummer festival, his performance garnered a standing ovation at the event and landed him on the ‘Best of’ Modern Drummer Festival DVD in 2008. In August of 2006, the band released ‘Sacrament’. The album landed at #8 on the Billboard charts, was nominated for a Grammy and was the highest selling metal album of the year. ‘Sacrament’ was praised as album of the year from critics across the world and Chris and the band toured for 20 months in support. Chris landed cover articles in Drum!, Rhythm (UK) and Modern Drummer magazine for the incredibly diverse and powerful drum recording. The band once again received a platinum award for the DVD chronicling the trek entitled ‘Walk With Me In Hell,’ and Chris was invited to write a regular column in Modern Drummer Magazine. On February 6, 2009 the band will begin the first leg of the world tour for the new studio album ‘wrath,’ due for release on February 24. On this recording Chris has taken his greatest leap forward as a player from any one record to the next. Chris is well known for his footwork and unique rhythmic choices, which are once again represented well here, but the drumming on this album also showcases a significant growth in his hand speed and dexterity. Never satisfied, ‘wrath’ represents a balanced and intense effort to push into new ground and evolve as a player. 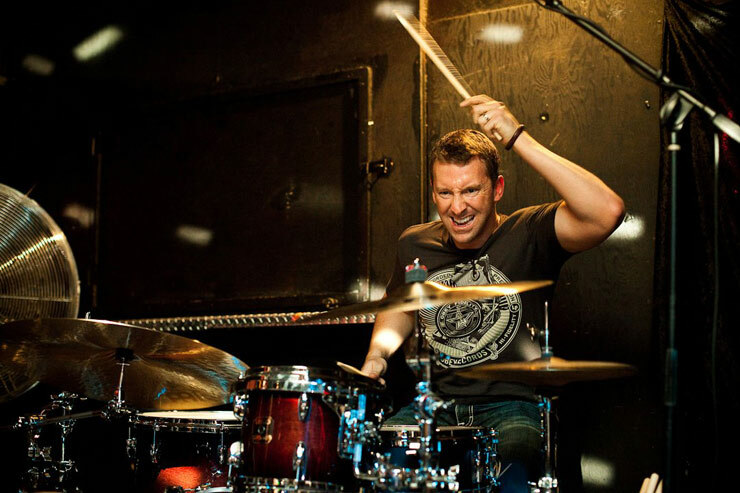 Matt Halpern, a Baltimore native, started playing the drums at the young age of 3. With private lessons, Matt acquired a deep knowledge of drumming and applied them playing songs in all genres of music. By middle school Matt was performing locally and by high school Matt was performing throughout the Northeast region of the US weekly. Towards the end of high school and into his college career, Matt developed a hefty roster of students from beginners to advanced across all ages. Throughout college, Matt supported himself by teaching and playing local bar gigs with mainstream rock and reggae cover bands weekly. After college Matt toured extensively with a couple bands and eventually joined up with instrumental group, Animals as Leaders. After performing with the group in 2009, Matt had the opportunity to join progressive metal band Periphery, and he’s been with them ever since. 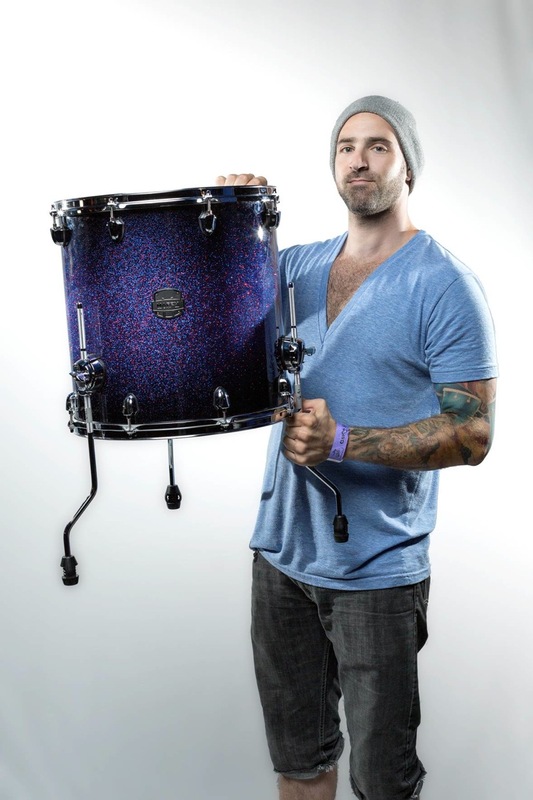 Performing and touring all over the world, Matt and Periphery have shared the stage with bands such as Dream Theater, Gojira, Lamb of God, the Dillinger Escape Plan, August Burns Red, Arch Enemy and many more. 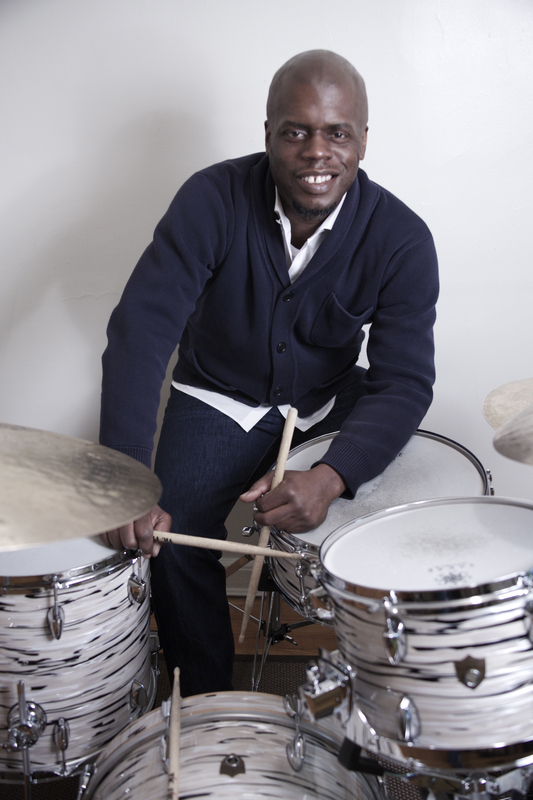 Matt is highly regarded as a very active drum instructor and participant in the expansion of music education. In 2008, Matt founded Bandhappy – the only online market place for live music lessons from musicians from all over the world. With Bandhappy, fans and musicians can take lessons with their favorite artists and teachers via Bandhappy’s custom video chat. • Periphery was direct support for the Deftones. Details on location to be announced. 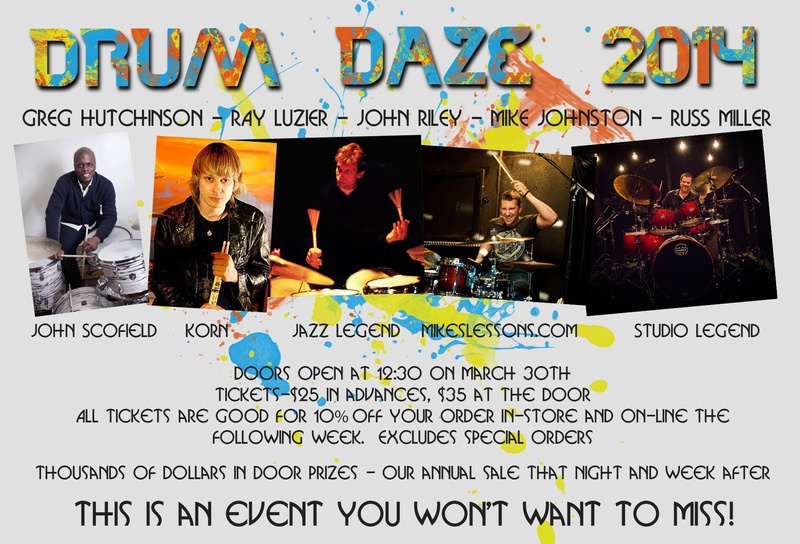 Click for tickets - Tickets are $5, and can be used after the clinic to take $5 of off any purchase over $20. Sabian On Sale All Day At 55% Off Retail! Cymbal Vote allows drummers from around the world to determine what new models SABIAN will introduce in 2013. SABIAN has long been know for its innovation in cymbals, and frankly, each year we develop more cool new ideas than we can introduce as new products in a single year. So we decided to let you decide! Here at CymbalVote.com you can see the 12 cymbal candidates, and we have also included dozens of videos featuring great drummers like Mike Portnoy, Ray Luzier, Tony Royster Jr., and Tomas Haake. These drummer give you the chance to hear the cymbals in several musical settings and even hear their comments on how each performs. Want to hear these cymbals for yourself? A limited number of Cymbal Vote Tour stops have been scheduled around the world. Columbus Percussion is one of those stops! 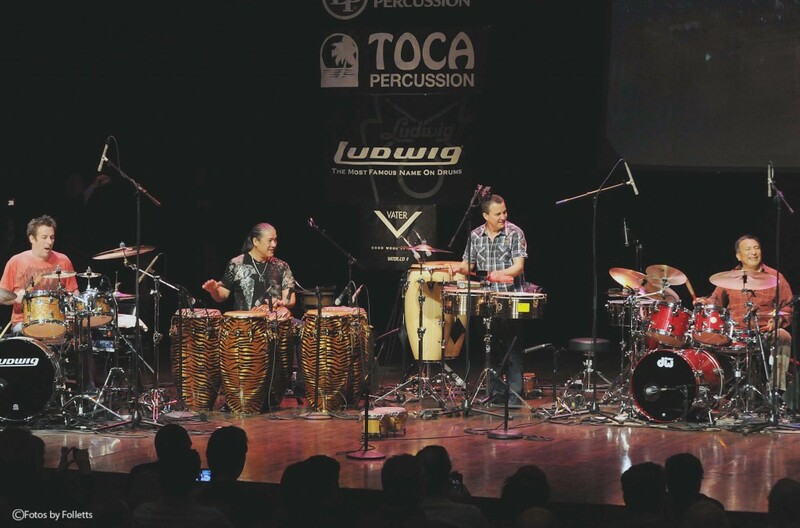 Michael Spiro Hand Drumming Clinic – Thursday, April 26th 8:00 P.M.
Columbus Percussion is hosting a hand drumming clinic with Michael Spiro on April 26th at 8:00pm at Columbus Percussion. Admission is FREE! 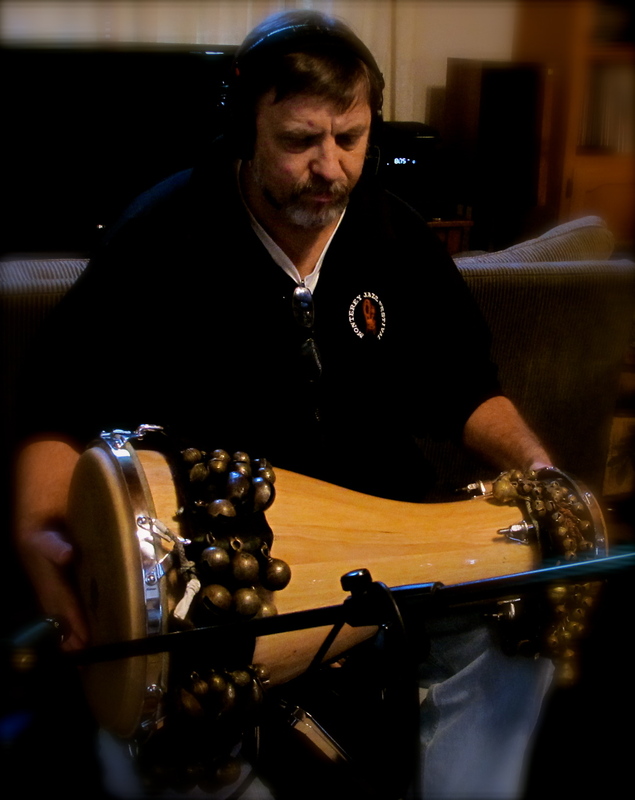 Michael Spiro is an internationally renowned percussionist, recording artist, and educator. He has performed on hundreds of records and has co-produced several educational videos for Warner Bothers. 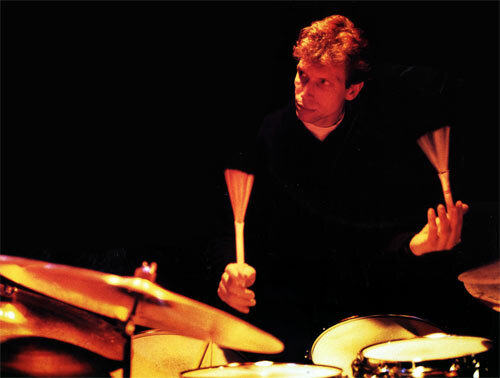 He has worked with artists such as David Byrne, David Garibaldi, Ella Fitzgerald, Carlos Santana, Grace Slick, and Charlie Watts. Currently, he is on the faculty of Indiana University, and travels internationally playing and giving workshops. We are pleased to have Michael for an evening here at Columbus Percussion!